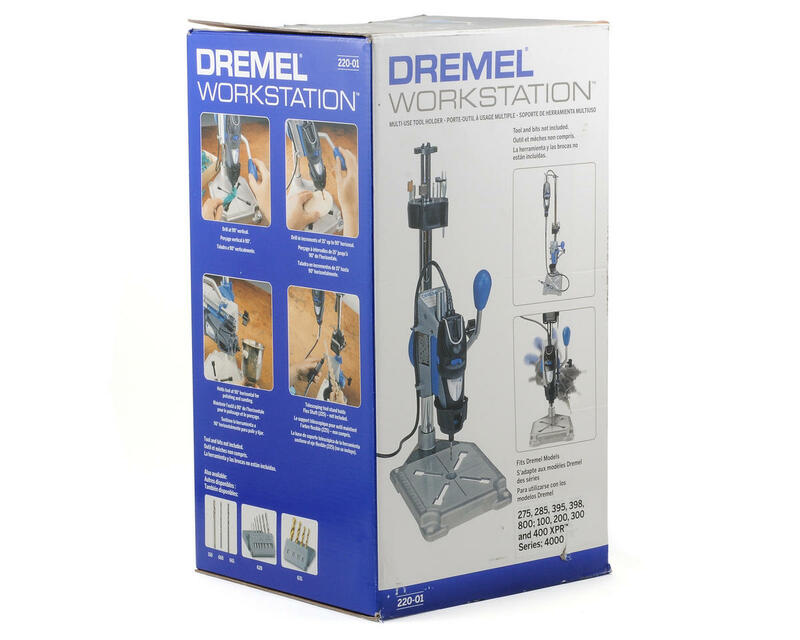 This is the Dremel 220-01 WorkStation. 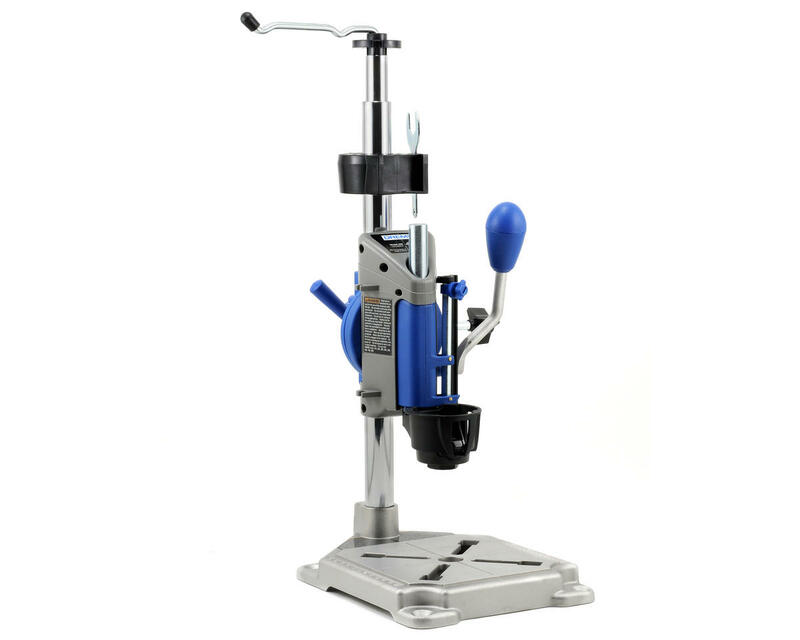 This multi-purposing add on for the Dremel is a drill press, tool holder and flex shaft holder all in one. A true 3 in 1 tool, the WorkStation allows you to drill accurate perpendicular and angled holes, holds your tool in place for applications like sanding and buffing, and the telescoping flex shaft holder extends to any height between 16 and 29 inches.